Looking for tyre stores in Adelaide? At Mobile Tyre Shop, we wish to offer convenience-of-a-kind with our tyre fitting service. Unlike traditional tyre stores, we can come to you wherever you are, at home or at work. For all your tyre puncture repair needs, you can now trust our expert fitters. Convenience has never been more appetizing. Considering so many products can now be delivered, we thought ‘why not tyres too?’. Mobile Tyre Shop takes the hassle out of getting new tyres by coming straight to you! Whether you’re at home enjoying brekkie, or busy at work for the day, Mobile Tyre Shop can deliver an impeccable tyre service for you, no matter where you are. 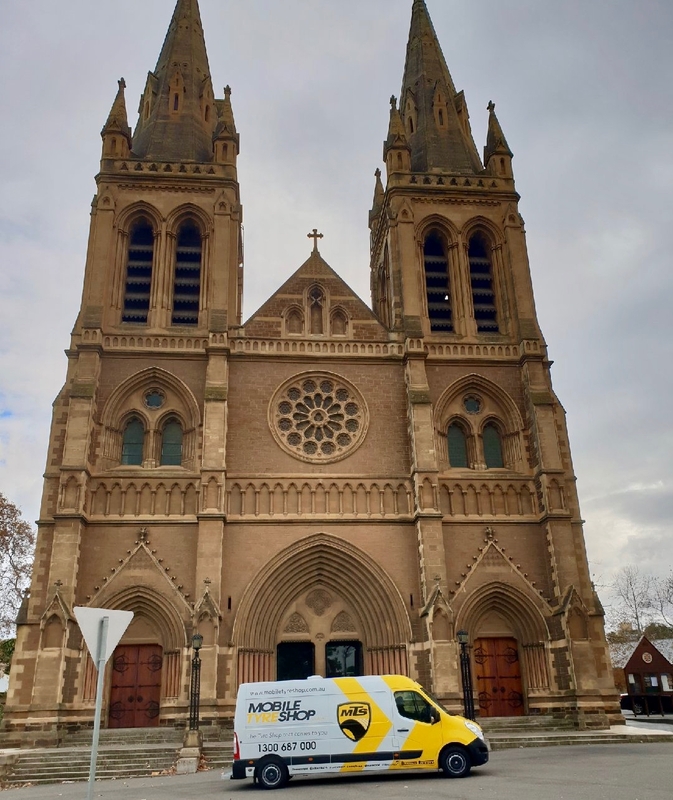 Packed with excellent customer service from our expert Tyre Technicians and all the top tyre brands at the ready, we can help you out wherever you are around the great city of Adelaide. You’ll never have to endure the hassle of a traditional tyre shop again when we offer a premium tyre service on the go and at a low cost! From Mclaren Vale to Two Wells we’re only one phone call away. Contact us today for a free quote. If you wish to know more about car tyre prices in Adelaide, feel free to get in touch with us. Whether you are looking for Pirelli tyres or some other renowned brand, we have the right solution for you. You can even compare tyre prices in Adelaide and we are confident that you will find the best deals with us. We can also help you with tyre disposal in an eco-friendly way. Our tyre service is second to none and designed to offer an experience that you would like to come back to. We service all areas of Melbourne, Sydney, Adelaide, Gold Coast, Brisbane, Perth, Sunshine Coast and stock almost every brand. We operate 7 days from 7 am to 7 pm. So, next time when you are in need of a tyre repair, feel free to get in touch with us. You can also buy tyres online in Adelaide and book a time. Our technicians will come to you to change your tyres. Mobile Tyre Shop in the ‘City of Churches’.